Argos closed down in December 2017 and moved to Sainsburys Boughton. Totally Wicked � E-cigarette and E-liquid Shop Foregate Street Chester. Welcome to Totally Wicked, suppliers of a range of vaping devices including e-cigarettes & e-liquid for all vapers. Free delivery on orders over �30. Totally Wicked Chester is now open and the store is looking great. Pop in, meet the team and try some e-liquids at: 75 Foregate Street, Chester, CH1 1HE. Welcome to SANTANDER, one of the world's largest banks. We offer current accounts, savings, mortgages, loans, credit cards and much more. Cotswold Outdoor Store - for the best camping gear, rock climbing equipment, walking, hiking and all things outdoors. Opened in 2010. Discount fashion chain offering clothes and accessories for all ages, plus homewares. Bonmarch� is the UK's largest value retailer selling affordable quality womenswear in a wide range of sizes (12-24) to women over 45 years. Ranges include casual and formal separates, outerwear, swimwear, lingerie nightwear and accessories, all designed with the more mature figure in mind. Chester's best Pizzeria established in 1990. For over 40 years Quality Solicitors Oliver & Co have been providing expert legal advice to our clients. We offer a comprehensive range of legal services, from the drafting of a simple Will or buying your first home to a complex commercial dispute, injury claim or family matter. Our lawyers are experts in their individual area of law. We aim to guide you through the often daunting legal maze and ensure that we give you the right advice with no hidden costs. We are proud to have been chosen by you as a QualitySolicitors firm - the UK's first national legal service. For free initial advice with no hidden costs call us today. Specialist in toasted and cold submarine sandwiches and salads, the SUBWAY� chain has experienced significant growth in recent years as a fresh and great tasting alternative to other options. The chain also offers a delicious range of deli-style sandwiches, salads and wraps, crisps and freshly baked cookies and muffins. Asian Fusion Restaurant Takeaway & Online Cooked in a few minutes. Eat in, take away or delivered. Lively Contemporary pub in the heart of the City on Foregate Street. Serves Vodka ! 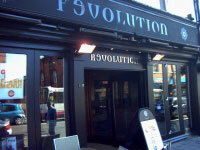 Revolution, situated in the heart of Chester offers a unique experience both day and night. With our stylish, interesting decor relax and enjoy a meal from the Revolution Kitchen freshly prepared on the premises and served daily from 11.30am. Full table service is offered so the hardest thing that you will need to do is decide what to choose! Ideal for parties, functions and meetings, buffets are available and can be tailored to suit your own personal requirements. Open until midnight Sunday to Wednesday, 1am Thursday and 2am Friday and Saturday, we are the perfect venue for you to enjoy a superb night out. DJ's play funky beats, euphoric house tunes and classic anthems every night of the week. Revolution Chester will leave you gagging for more! STEREOTYP.D at Revolution Chester - The Ultimate Student Night - EVERY Wednesday. That's why at Revolution its the mid-week mash up! DJ Graham Kneal bringing you the best songs for the best party. Want that extra special VIP treatment for your team or club. For more offers and the edge over the opposition see Jon at Revolution Chester. Harland Sanders is born in Henryville, Indiana. Some say his first word was 'chicken', but it was more likely 'ma' and or 'pa'. Until they crack time travel, we'll never really know for sure. SOFT DRINKS great selection for drivers � Fanta, Sprite, Coke, Appletise, Frobeshers Juices and Smoothies. www.cask-marque.co.uk award winning pub for cask ale. Lively modern pub in the heart of the City. Weird and wonderful, that's Lee Louise, our shop is full of treasures that please Lotions and potions, a feast for the eyes! Beautiful jewellery and gifts that surprise... 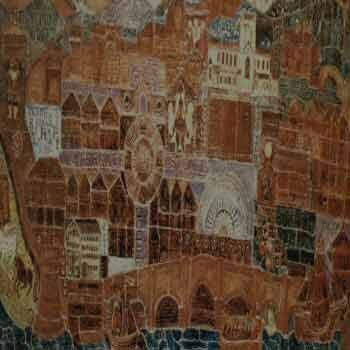 The deep and the dark and the new age and ethnic, to suit every taste from chic, goth or ecletic. 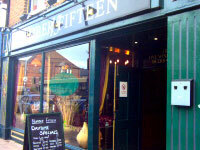 Please view our new website but if you want more, do call us or visit our unique Chester store. At Shuropody we provide chiropody, podiatry, treatments, foot care, orthotics and footwear from our conveniently located stores around the UK. 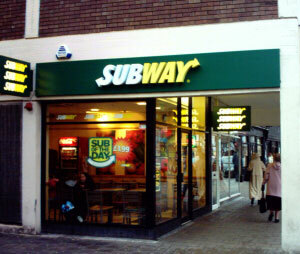 New store now open in the main shopping area of Chester, just outside the City Walls. The UK's leading games retailer with great deals on video games, consoles. Paperchase is the undisputed brand leader in design lead and innovative stationery in the UK. The one stop Yankee Candle shop for all your scented candles, accessories and home fragrancing, including new fragrances and gift sets. Located in the heart of the historic city on the corner of Eastgate and Foregate Street, we offer customers the opportunity for a wonderful leisure shopping. Mococo is a unique designer silver jewellery business offering a wide range of jewellery from both emerging and award winning designers, including Pandora. Visit the new shop 10-12 Foregate Street Chester CH1 1HA 01244 312 043. 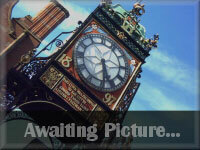 Located on the corner of St John Street and Foregate Street just in front of the Eastgate Clock. Lloyds Bank - Personal Banking, Personal Finances & Bank Accounts. JD Sports Fashion plc is the leading retailer and distributor of branded sportswear and fashionwear. Little Donuts, located in a small booth under the Eastgate Clock. 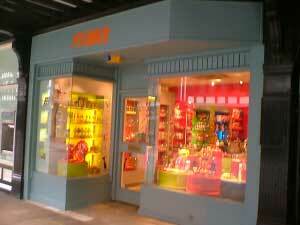 Boots Health and Beauty, Prescriptions Buy health and beauty products online from the UKs most popular chemist, Boots. Find pharmacy services, prescriptions, baby, diet, fitness, hair products. Find the latest women's, men's and kids' clothing trends at River Island.